About Us. The New Quay Inn, Brixham. The New Quay Inn situated on the corner of New Quay Lane and Kings Street in Brixham’s historic quayside area is one of the port’s oldest pubs. 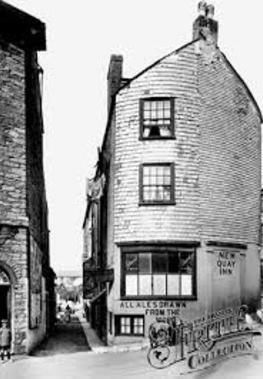 The building (originally three quayside cottages) is shown on the earliest maps of Brixham dating back to the 1700’s and is grade 2 listed. 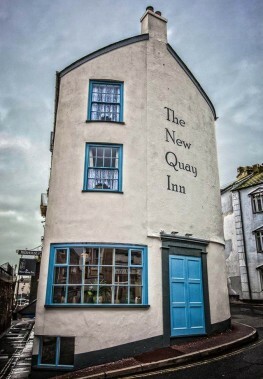 The building has recently undergone a full and sympathetic refurbishment program re-opening in November 2014 under its original name of The New Quay Inn. The trading areas are split over two floors, the downstairs bar area and the upstairs restaurant / dining room. We pride ourselves with serving a variety of well-kept local award winning ales which are changed weekly in order to provide the widest possible selection to our customers. We also stock traditional ciders and a good choice of wines available by the glass or bottle. The restaurant has a fast growing reputation with all our food being home cooked using the best sourced ingredients from local suppliers. Savills of Galmpton is a small owner run butchers in the village of Galmpton supplying local meat from Dartmoor and neighbouring Waddeton farm in Stoke Gabriel. Based on Brixham’s new fish quay Nigel Ward & Ian Perkes have a combined 80 years of experience. They prepare and supply the finest quality premium fresh fish straight off Brixham’s fish quay. It doesn’t get any more local or fresh! Brixham Seafarm’s provide us with fresh local mussels sourced from the open sea water mussel farm at Elberry cove (between Brixham and Paignton).